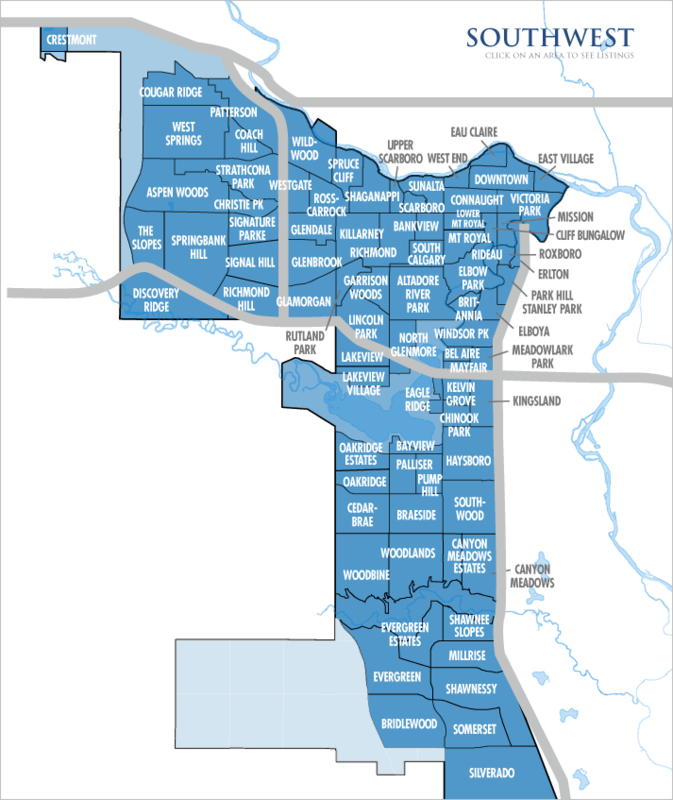 This quadrant stretches from the west of Centre Street and Macleod Trail to south of the Bow River for the most part. Favorite neighborhoods include Mount Royal, Bankview and Killarney, in addition to Sundance, Acadia, Chinook Park, and Haysboro. The cost of living here is extremely high, with homes priced up to $6M and beyond. Bel-Aire is by far the most affluent community. Not surprisingly, this is considered the best place to live in Calgary.